Modelo’s latest release empowers your design workflow with improvements that save you time and create efficiencies for you and your clients. These intuitive improvements include easy model re-uploading, PDF present mode, embeddable panorama images, and a metric-focused project overview page. As a reminder, these updates will be deployed at 9:00pm (EST/UTC/GMT -5) on Thursday, November 2nd, 2017. At this time, Modelo will be unavailable for up to 30 minutes. Modelo Studio now has a new name… Modelo Light! It will remain a streamlined presentation tool for CAD users. As a reminder, with this plan, users can creative interactive 3D presentations, share them with a simple URL link, and even hide information that’s not ready to share with stakeholders. When you customize your 3D model page to include your company logo, the branding will then carry into your embedded panorama images. This allows you to host and showcase custom tours on your website or brand your projects for presentations. 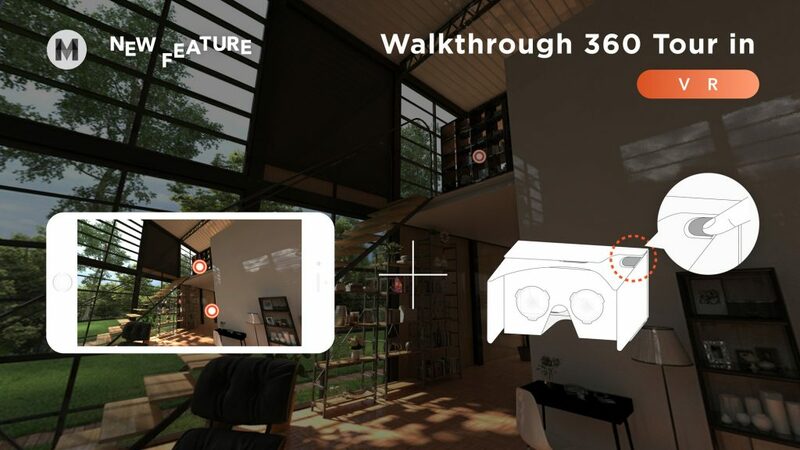 What’s more, you can not only view panorama images in VR, but now you can now virtually walk through 360º tours in VR by clicking on the orange hotspots and creating immersive tours for clients, colleagues, or contractors. Learn more by creating your first 360º tour today! Plus, even embed or share your 360 tours or 3D models on your website with your custom branding. Undoubtedly, models and projects go through many different phases throughout the design process. Once you’ve shared your model with a client or colleague, there is still a chance that another version is on its way. We’ve saved you the hassle of re-uploading and recreating settings or comments. Now you can re-upload your model to include the same comments or settings, without changing the URL link that you previously sent. Meaning, your client or colleagues can still use the same URL even when there are changes being made. If that’s not efficiency at it’s finest, we don’t know what is. If you made changes on your 3D model, you can now create walkthroughs that mirror either the default settings or other settings you’ve made. With the click of a button, you can change walkthrough settings, allowing you to save even more time to spend on designing. Keep track of your project’s lifecycle and stay on top of important files or changes. When you enter your project page, you will go directly to the overview page. 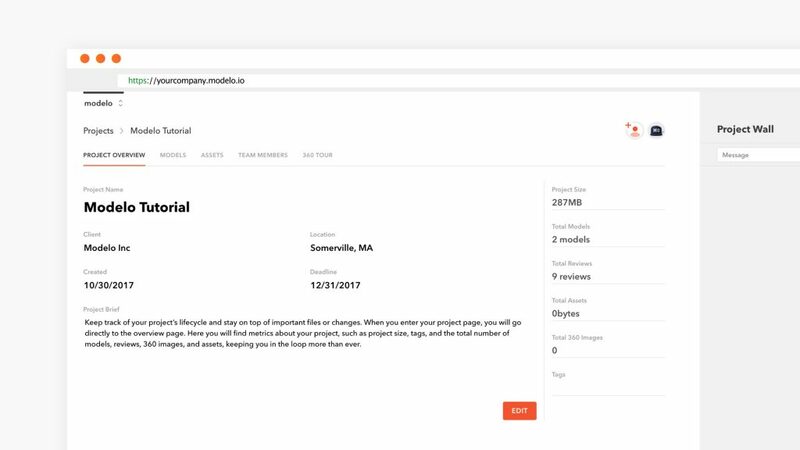 Here you will find metrics about your project, such as project size, tags, and the total number of models, reviews, 360 images, and assets, keeping you in the loop more than ever. Marking up PDF files in the browser has been possible with Modelo for some time now. But what if you want to present a PDF with red lines to stakeholders during design reviews? Now Modelo’s PDF Present Mode offers a smooth interface that enables you to go full screen to focus solely on the PDF, and not be distracted by other tabs in the browser or the toolbar. 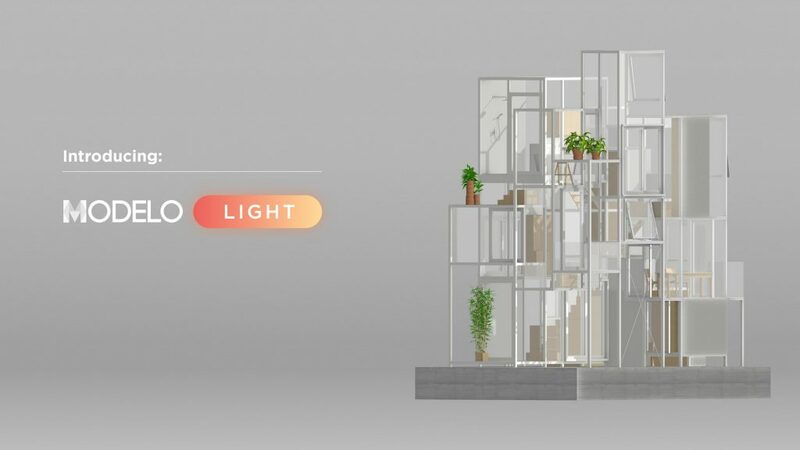 View projects, models, assets and panoramas in a list or grid view, so it’s effortless to find the project that you’re looking for in the style you prefer. Lastly, we wanted to let all of our users know that as of November 2, 2017, Modelo’s mobile apps will be retired. We apologize if this causes any inconvenience, however we’ve decided to dedicate our time and resources to focusing on successfully operating our web app for all Modelo users to enjoy.  Archived in Modelo (Company), Modelo (Product). Bookmark the permalink.